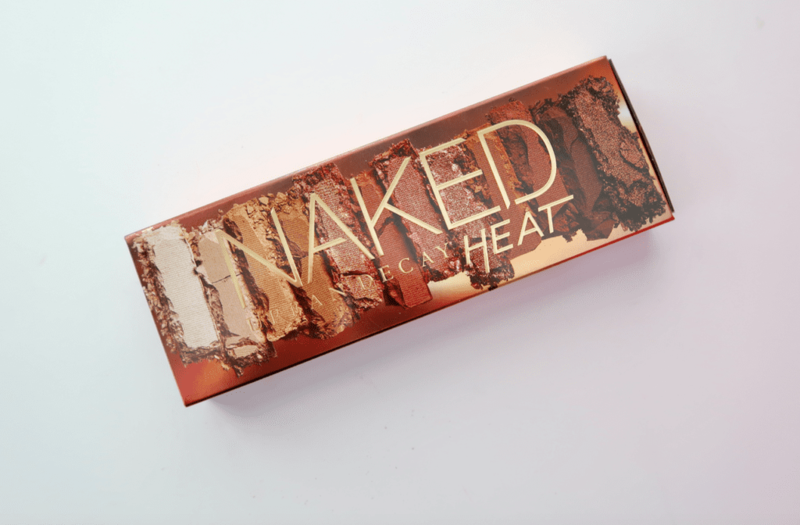 The Urban Decay Naked Heat Palette Is Heating Things Up! I’m no stranger to the Urban Decay Naked palettes. 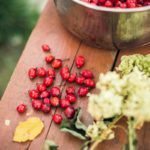 In fact, I’ve featured every single one of them on Simply Stine! My absolute favorite is the OG, the original Naked Palette. There’s just something about those colors that I can’t get enough of. 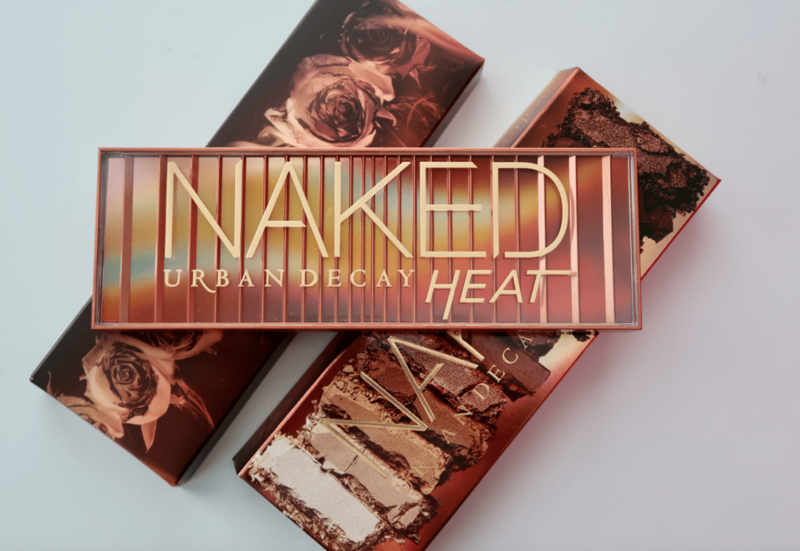 Now the newest Urban Decay Naked Heat Palette has taken center stage. At first, I resisted it because I honestly wasn’t sure that this would be an everyday wear type of palette, but after using it and experimenting with the colors, I realize that this might be my favorite release from them yet! 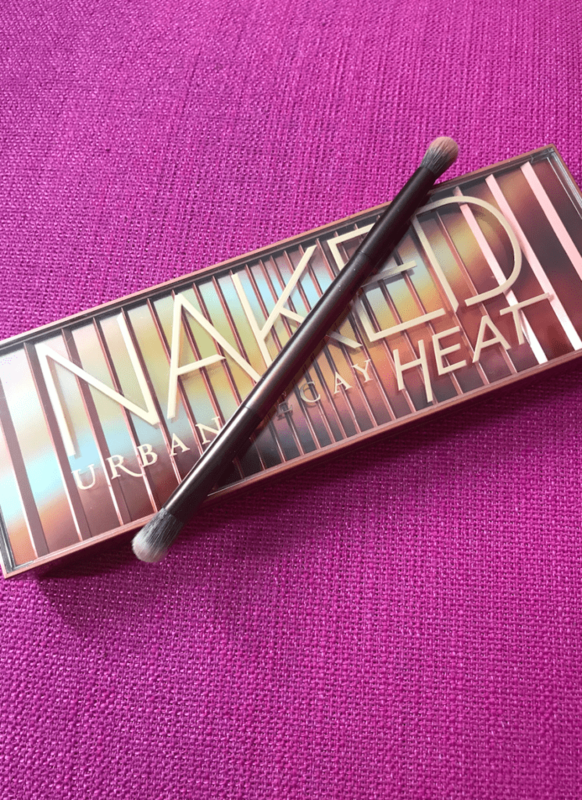 If super warm pigments that range from coppery burnt reds to dark plums sound right up your alley then I’m guessing you’ll love the Urban Decay Naked Heat Palette. The colors that they selected for this palette are stunning. I also love the mixture of textures. There are 8 mattes and 4 shimmer toned shadows that will make everyone happy. The colors are pigmented, blend nicely and with the assortment of colors they included in this palette, I feel like you can get really creative with your looks. However, if you’re more of a keep it simple type of person when it comes to your makeup looks, I still feel like you’ll be pleased by how wearable this palette is. I am enjoying the packaging of this case. 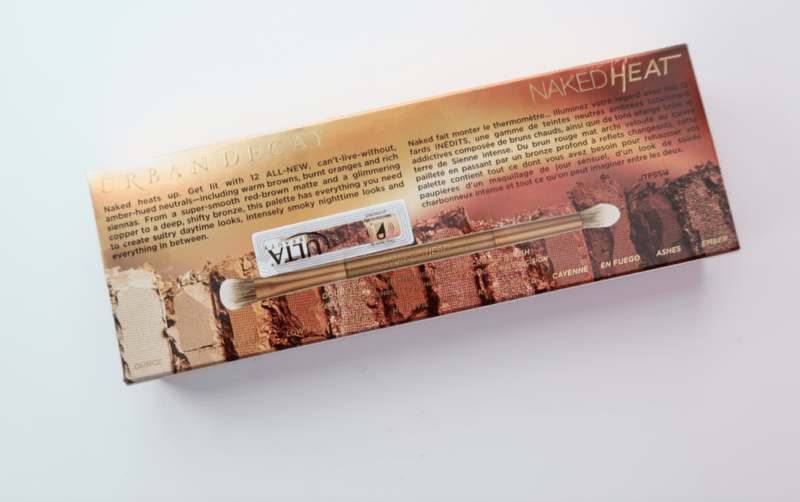 If you’ve been around for the entire Urban Decay Naked palettes, then you’ll know the original one started off as a simple felt-cardboard packaging. 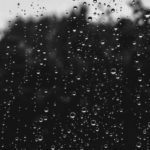 Simple, yes, but it made for some interesting close calls when traveling! So I appreciate that they’ve worked on upgrading the packaging to be more sturdy and just overall better put together. Included in the palette is a nice size full length of the palette mirror and a double ended brush. More on that later in the post. 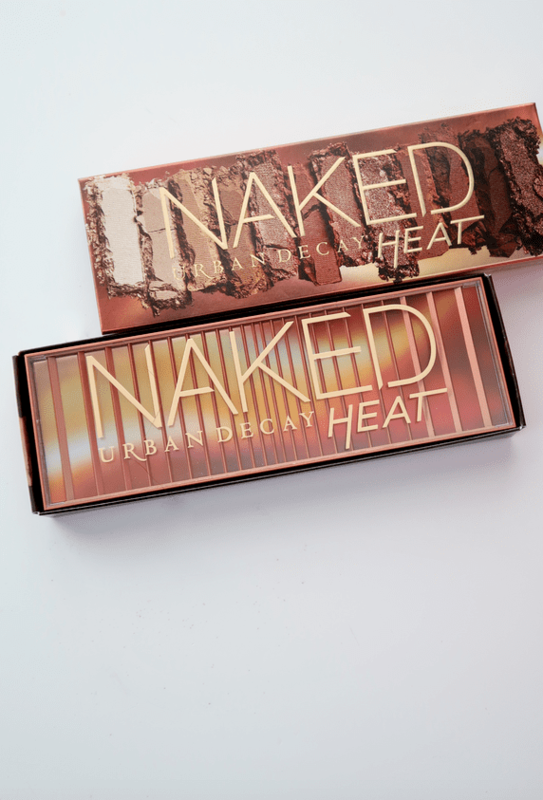 Let’s talk about some of my favorite shadows in the Urban Decay Naked Heat Palette. Overall, I have to say that I’m loving a lot of these colors, but in particular the colors I have below. Most of these are the shimmer shades, but I do the matte shades in this palette, especially en fuego. The actual swatch looks more shimmer because, stupid me, I used my shimmer primer from Urban Decay. Oops! Remember that brush I said was included in the palette? Well, I don’t love it and I don’t hate it. It’s a nice brush with great quality bristles, it’s just a little bit too stiff for me in some instances when I really need to blend out the colors. I love this for packing on colors, but I still need another brush that’s a little bit more fluffy than this one. If you’re a fan of this type of super stiff like bristles, you’ll love this brush. Overall, I think that Urban Decay did a great job on this palette. 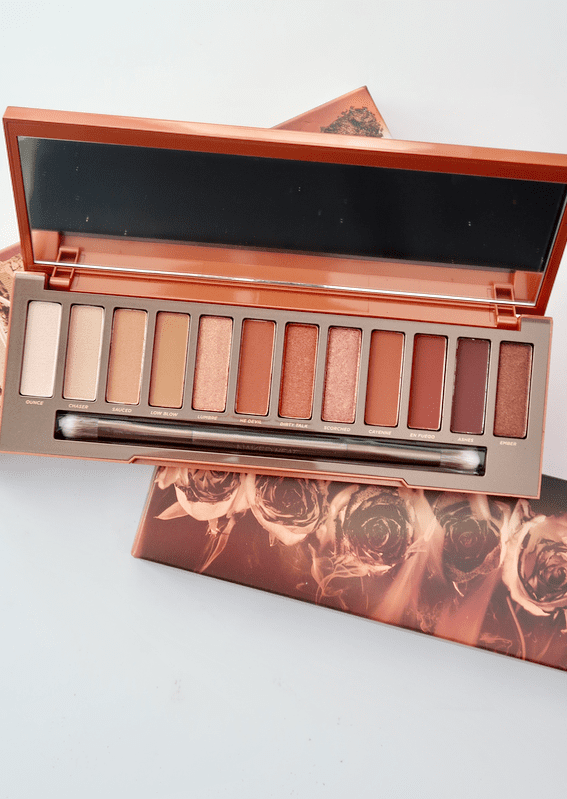 We’ve had the Naked 2, Naked 3 and even the Smoky palette, but there’s something about the Naked Heat palette that really wow’s me. 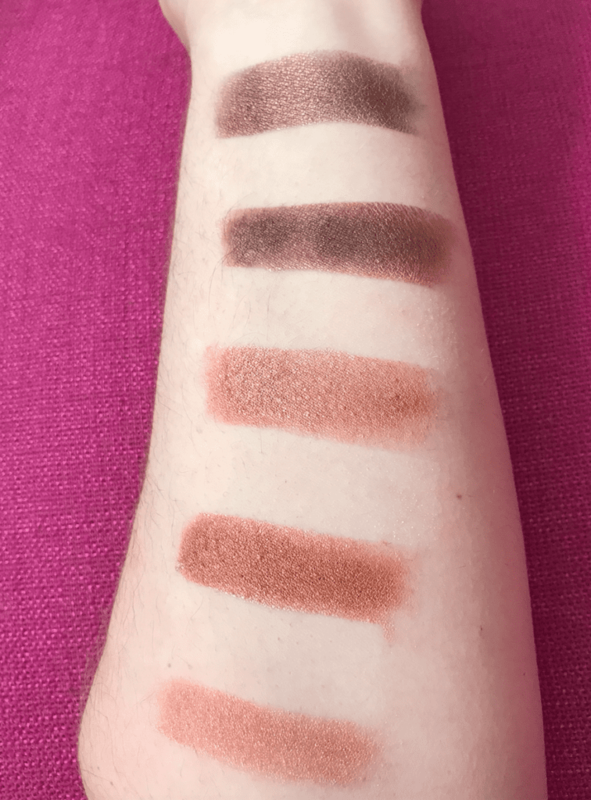 It’s a great palette and if you’ve been on the fence about this one, I suggest going to a store that carries it and just have some fun swatching it. You’ll be very surprised by how pigmented the colors are and how nicely they do blend, even the mattes. 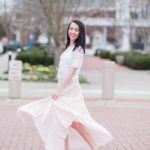 Urban Decay is for sure a brand that always keeps things new and I was so happy to see a palette that was full of so many amazing colors that really inspire you to create fresh, new looks day after day!